I really LOVE this drawing by Jeannel King – such a simple and elegant instruction that so many of us need to practice. You can see it on her Pinterest site (and more of her work) or on her blog. You can also subscribe to her excellent “good enough” drawing series. LOL! I just had someone talk about the benefits of horse riding in my last project! ;^D. So glad you found my drawing helpful, Aaron! 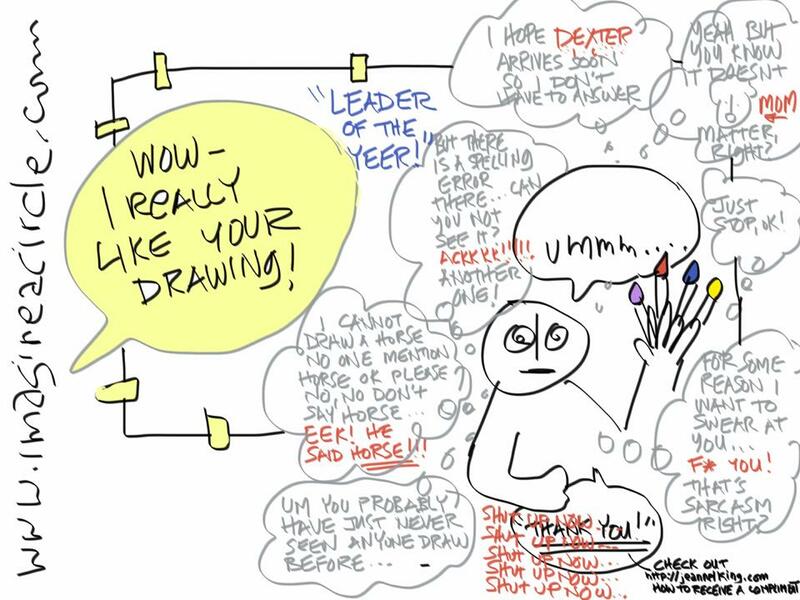 i always find your thinking through of things helpful Jeannel – you are a great resource for our work as graphic facilitators!